The natural world is magical. And if you’ve spent even a little time by a clear, whispering river as you patter your bare feet on smooth pebbles, or watched a spider delicately weave its web as it glistens with dew and trembles gently in the wind, or experienced the deep sense of calm that observing a flock of birds flying against a honeyed sky can bring, you’d agree. Children today have fewer chances to experience first-hand the magic of nature, and this disconnection with the natural world could be putting both nature and children at risk. If we don’t feel connected to nature, feel a part of the natural world, it’s rather difficult to see a reason to protect and conserve it. NCF’s Education and Public Engagement programme (or the EPE as we like to call it) has been developing a variety of projects and material to bring children closer to nature. Suhel Quader, who heads the programme, talks to us about the importance of this connection, and how we can work together to help children explore the magnificent secrets of the natural world even amidst our bustling city homes. Why do you think it is important for children to connect with nature? Several reasons. Most importantly, I think it’s a crucial part of a child’s development. There is increasing talk about how spending time outdoors benefits children in various ways, and not spending this time can result in called ‘nature deficit disorder’. The natural world is an essential part of our evolutionary and cultural history. But if we don’t love it, we won’t fight for it; and the big worry is that children are spending less and less time outdoors for a variety of reasons. We need to push against this trend. What are the different ways in which city kids can be encouraged to explore nature? What kind of nature-based activities can they take part in to experience a sense of wonder for the natural world? Children can explore nature in a variety of ways—from the gecko in your home and the plant on your balcony all the way to natural ecosystems that might be far away. On the one hand, natural ecosystems like national parks and sanctuaries are important to sustain and nurture; but at the same time, we shouldn’t imagine that our immediate environment is unimportant. 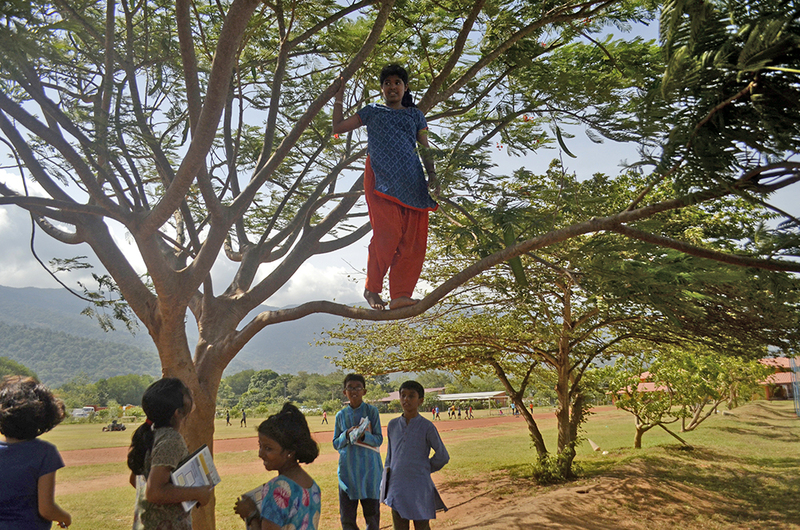 At the EPE, we have been devising nature activities for children that they can carry out in their own neighbourhoods—activities about ants and tree bark, soil and birds, and so on. We do three broad things for and with children in the EPE programme: we write for children, we create activities and material for them, and we involve them in generating a better scientific understanding of nature. 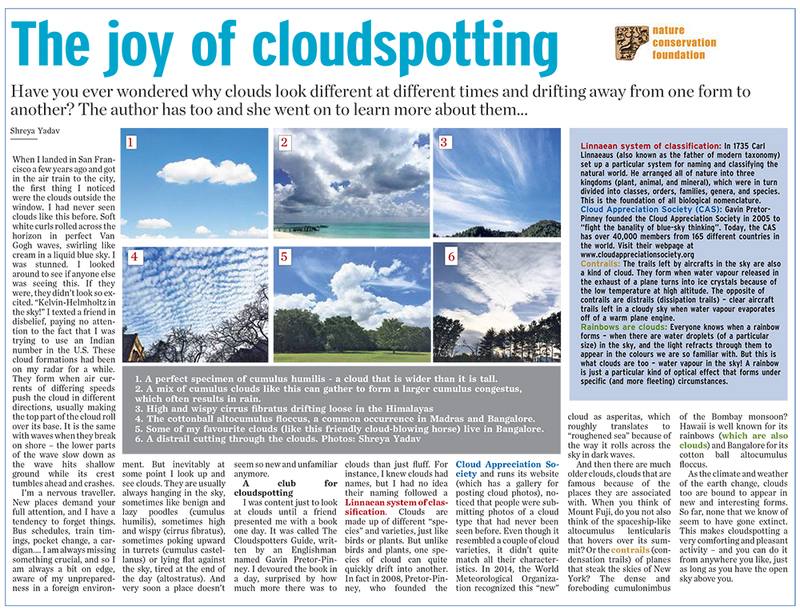 We try and reach a broad audience of children by writing a regular column in the Schools edition of The Hindu. Over the years, lots of people from the NCF family have written for this column, which gets published every other week, on average. So far over 100 articles have been published in this series. We are also working on bringing out a series of nature-based activities for children, the main aim being to bring children outside their homes, away from technology and out looking at insects, birds, plants, soil… Some of these have been published, and we hope to bring out a book of these activities soon. 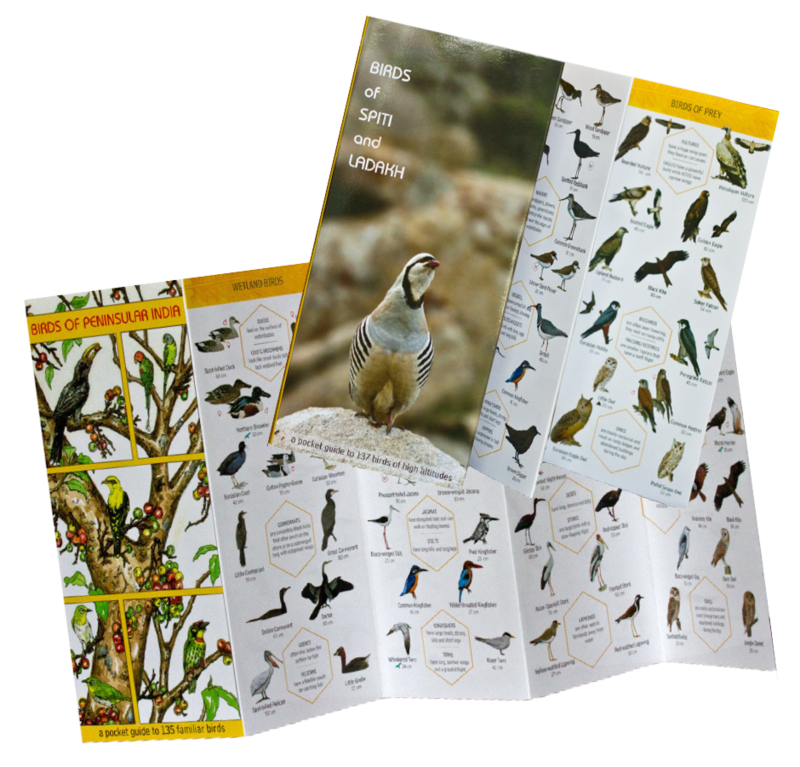 We create other kinds of learning material too—most notably the Early Bird series, which is designed to introduce children to the diversity and general awesomeness of birds. 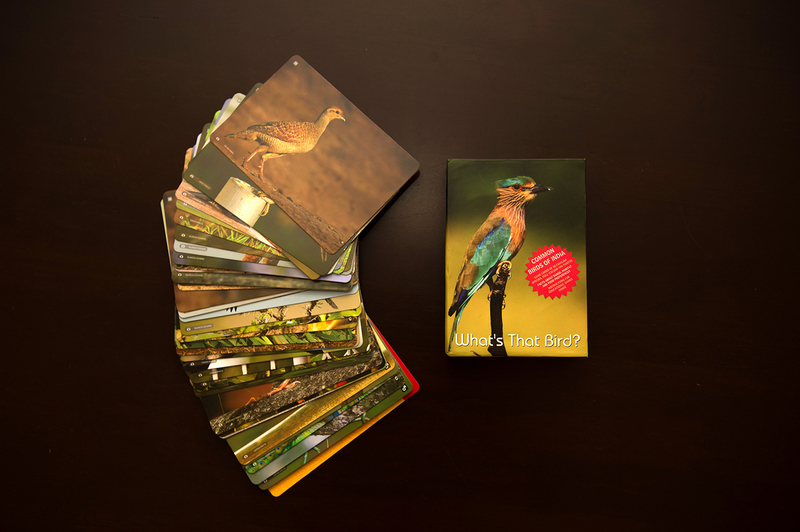 What’s that Bird—A set of 40 flashcards with full-colour 4×6 photos, instructions for games and behaviour, range, fun facts! Finally, we are involved in citizen science projects: efforts to engage the larger public in collecting information about the natural world. One of these is SeasonWatch, where currently several hundred schools and individuals are helping track the seasonal changes of flowering, fruiting and leafing of trees. 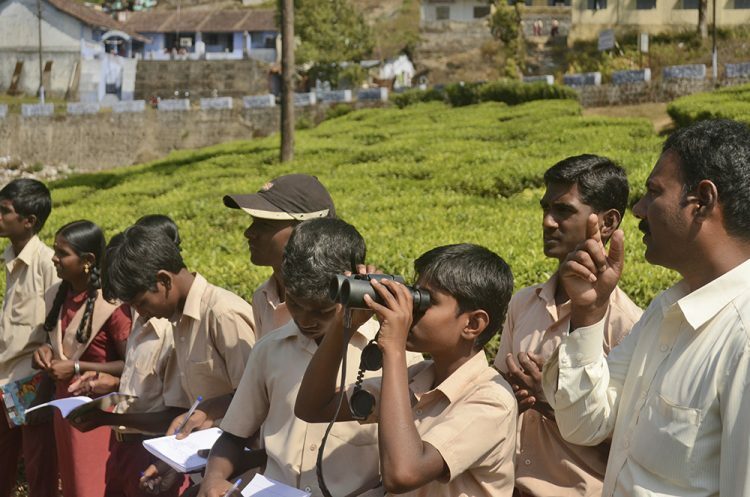 Another project is on birds (Bird Count India), where we work with birdwatchers across the country to collate their sightings into a single repository (eBird) that then can be used to look at distribution, abundance and seasonality. So, what was growing up with nature like for you? What got you excited about the natural world as a child? I grew up on the outskirts of Hyderabad, surrounded by imposing granite rock formations, exploring scrub forests and little ponds. I remember spending long hours as a teenager out collecting and trying to identify grasses, stalking francolins (the Painted Francolin is one of my favourite birds) and driving a beaten-up moped along dusty tracks looking for hidden ponds. Since those days I was very clear that I wanted to do something related to nature all my life; and I was lucky to have parents who did all they could to help. That’s so lovely! What do you think are the barriers that prevent today’s children from having these magical experiences with nature that you were lucky to experience while growing up? I can see several barriers, especially for urban children. One is that nature is romanticized as existing only in distant and wild places, and so one’s everyday surroundings seem mundane in comparison—but there can be so much excitement in any patch of greenery! Also, several pieces of research show that early experience with a wilderness (even if it is an unkempt urban park) can be very influential. But parents these days are increasingly paranoid about letting their children out of the home unsupervised; and technology adds to this by providing the largely indoor temptations of smartphone apps, computer games, and so on. Outdoor play is so very important for children, and if it can happen in a semi-wild context that’s even better! How can parents, family, and teachers help in giving children these memorable experiences? Children often learn to be excited about animals and plants from their elders and peers. And if they learn that spiders are disgusting or that they should be afraid of ants it’s no wonder that they retreat to the indoor safety of modern technology. What Kavita and I have been trying to do with our children is to point out and (where possible) pick up any ‘creepy crawlie’ we come across, and to exclaim at how wonderful it is. (The influence of this is often undone by teachers in school.) We try and put them in safe locations (eg. a residential campus), where they can explore on their own and away from our direct supervision. And, on vacations, we try and take them to some kind of natural habitat, again to explore and enjoy. Of course, each child is different; one can try and open the natural world to them—but then they must step through the open door out of their own volition. What are your plans for the future? Are you optimistic about rekindling this delightful, but dwindling connection? I think it’s fairly clear how these connections can be made, strengthened and rekindled; and that is what we trying to do and will keep doing. What’s disheartening is the scale of the effort required. What we do reaches a few thousand or perhaps tens of thousands of children and adults. But that is a tiny fraction of the number that we need to reach for there to be a change in the societal (and therefore political) attitude towards nature and wildlife. I don’t know whether that necessarily makes me pessimistic; but it certainly tempers my optimism!